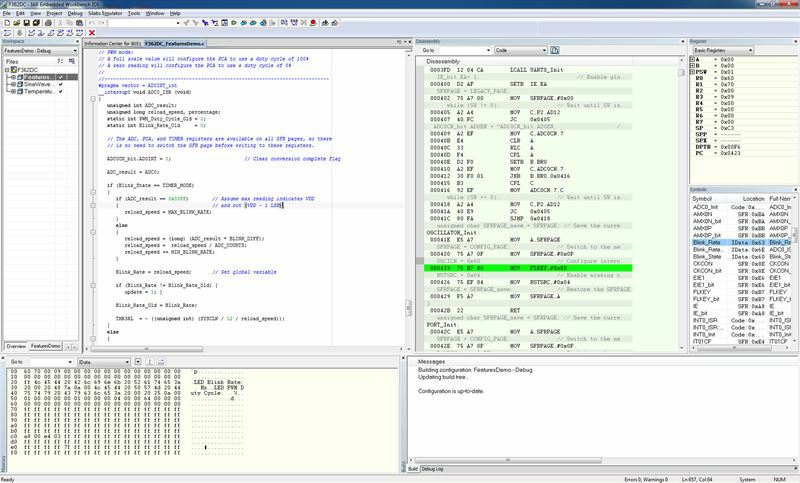 Uppsala, Sweden—November 8, 2012—IAR Systems® has announced a new version of its compiler and debugger development tool suite IAR Embedded Workbench® for 8051. Version 8.20 adds a new editor and source browser, Subversion integration and enhanced debugger drivers. By including a new text editor and source browser, IAR Systems simplifies code writing and project management for 8051 developers. The new user-friendly editor offers functionality such as auto completion, parameter hint, code folding, block select, block indent, bracket matching, zooming and word/paragraph navigation. The new source browser facilitates project navigation via features such as Go to Declaration and Find All References. With the version control system integrated into the IDE, developers can share files in a project and keep track of source code versions. Version 8.20 of IAR Embedded Workbench for 8051 includes integration with Subversion (SVN), one of the most popular version control systems on the market. The development process is greatly simplified for developers since they can now perform Subversion commands from within the IAR Embedded Workbench IDE and see the current status of project files and folders. Updates made to the comprehensive C-SPY® Debugger add support for Special Function Register (SFR) paging and banked xdata when working with 8051 microcontrollers from Silicon Laboratories. For Infineon devices with the DAS interface, C-SPY now supports setting software breakpoints in the program memory XRAM area. In addition to these new features, the user guides IDE Project Management and Building Guide and C-SPY Debugging Guide have been updated, providing in-depth information about the IAR Embedded Workbench IDE and the C-SPY Debugger. New and updated device support files are also included. For a complete list of supported devices, visit www.iar.com/ew8051. IAR Embedded Workbench is a complete set of powerful C/C++ development tools with extensive support for 8051 devices from a wide array of manufacturers. Popular with the 8051 community, it provides a project manager, editor, build tools and debugger integrated in a user-friendly IDE. For more information, and to download free evaluation licenses, visit www.iar.com/ew8051.